Under the legal theory of respondeat superior, employers can be held vicariously liable for the negligent or reckless actions of their employees. This issue is raised most often when an employee injures someone else while driving to or from work. 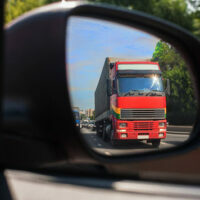 Whether or not an employer can be held liable in these situations depends on the specific circumstances of the case, so if you were injured in a car or truck accident, it is critical to speak with an experienced auto accident attorney who can assess the facts of your case and help you file a claim against the responsible party. The activity was undertaken at least in part in order to serve the at-fault party’s employer. Essentially, an employer can be held vicariously liable for an accident caused by one of its employees as long as that individual was furthering its interests at the time of the crash. The employee was a law enforcement officer and was injured while going to or coming from work in an official police vehicle. However, even in the latter situation, the police department will not be held liable if the injury occurred as the result of a distinct deviation for a nonessential personal errand, unless the employer’s policy permitted those types of deviations. If you were injured in a car accident in Fort Lauderdale by a driver who was on the job, you may be eligible to collect compensation for medical bills, vehicle repair, and lost wages from the at-fault party’s employer. To learn more and discuss your case with an experienced car accident lawyer, please call Boone & Davis at 954-566-9919 today.